Igor Ashurbeyli has big plans to get Asgardians into space. Asgardia, a nation of would-be spacefaring futurists, now has its first official head of state. Since he first created Asgardia in 2016, Igor Ashurbeyli, a Russian computer scientist and engineer, has served as the country’s de-facto leader. But on June 25, he was formally inaugurated as Head of State during an extravagant ceremony at Vienna’s Hofburg Palace, according to a post on the nation’s web site. Right now, the 200,000 or so people who have registered as Asgardians don’t have a permanent home in their new country, but that’s not a problem for Ashurbeyli. His goal is to bring humanity to outer space, establishing colonies on a constellation of orbiting satellites as well as settling the Moon. Asgardia touts itself as a humanitarian endeavor that will bring together humanity’s best, brightest, and most creative in an effort to promote science and prevent the political and violent conflicts of Earth from extending into space. In 2017, Asgardia launched its first satellite, which carries information about the country’s mission and constitution. According to Asgardia’s website, the organization plans to launch a constellation of similar satellites within the next two years to lay the groundwork for a future space society. But as Futurism previously reported, Asgardia has already hit some bumps in the road. For instance, some Asgardians felt disenfranchised when they learned they couldn’t vote against the new constitution, which gave Ashurbeyli far-reaching powers. Ashurbeyli’s persona is shrouded in mystery. It is hard to find news about him that doesn’t describe him as a billionaire, but hard numbers about his net worth aren’t public. However, we do know that Ashurbeyli is a descendant of the Ashurbekov family, who are Azerbaijani nobility. Regardless of where he started, Ashurbeyli has done well for himself with a prolific career in business as well as defense and space technology. We caught up with Ashurbeyli via email to learn more about how things are going with Asgardia and how he plans to bring his nation into the future. Here’s our conversation, which has been lightly edited. To provide additional context, Futurism has also added all links to the text below. Futurism: First off, tell me a little bit more about your background. When did you become interested in space, and when did you come up with the idea for Asgardia? Igor Ashurbeyli: I was a scientist and businessman — now, I’m a philanthropist. I have been heavily involved in the aerospace industry in Russia for about 20 years. Before being elected into office as Asgardia’s first Head of Nation, I founded the Aerospace International Research Center (AIRC) in Vienna, Austria; and ROOM, The Space Journal. I’m also the Chairman of the Board of the Nonprofit Non-Government Expert Society on Space Threat Defense (ESSTD), with has special consultative status with the United Nations Economic and Social Council (ECOSOC). The idea of creating an independent state unlike any other came to me more than 10 years ago. But a nation needs a territory, and the existing land assets on our planet have been divvied up. New nations have been trying to live on artificial islands or other artificial formations for years already. In 2016 I was in Montreal at the international conference on space law, and I thought to myself: why not make this new independent nation a space one? Is there a reason for why not? Talking with specialists in the area of space law at McGill University in Canada gave my idea a more defined form. F: Who or what inspired you to found Asgardia? IA: I’ve been inspired from the near-universal human mythology of another world somewhere beyond Earth, as with the Hindu concept of [the mythical kingdom of] Shambhala or the Russian legend of Kitezh. The name of Asgardia itself comes from ‘Asgard’, or the city in the sky from Norse mythology. I strive to see that Asgardia lives up to this embodiment of humankind’s age-old dream to live somewhere beyond the world as we know it. F: What are your ultimate goals for Asgardia and the people who believe in its vision? IA: Asgardia was founded on three principles: peace, access, and protection. First, Asgardia seeks to ensure that there is peace in space and that Earth’s conflicts don’t get transferred into space. Next, Asgardia seeks to deliver equal access to space to the people of the world. Last, Asgardia seeks to deliver equal protection to individuals and countries (particularly developing nations) from space threats. F: I understand that you were just inaugurated as Asgardia’s Head of Nation at a ceremony at Hofburg Palace. What was the ceremony like? Who came to attend? IA: I’m very proud of the inauguration ceremony that took place at Hofburg Palace. I had the support of our newly elected Parliament, diplomatic representatives from over ten countries, representatives of a number of major public organizations affiliated with UN structures, newly elected Asgardian Members of Parliament, astronauts, space industry managers, scientists and our team of international lawyers. F: I heard that you recently launched a satellite that carries data about Asgardia and its constitution. Was it a challenge to decide what you would include on the satellite? How did it feel when it launched? IA: We always knew that we wanted to give space on the satellite to Asgardians. It’s a part of our mission to open up space to people from all over the world. As long as the material uploaded by Asgardians was legal by international standards, it was uploaded to the satellite and went into space with the launch. I was really proud to have watched the launch in person. Looking up at the rocket as it went into low Earth orbit, Asgardia’s first piece of sovereign territory took its place in space. F: I also read that some members of the Asgardia community felt that they didn’t have a say in how things are run, for instance in being able to vote on the constitution. Do you think that’s a fair characterization, and why or why not? IA: To be clear, Asgardians could either vote for the Constitution or vote by abstention —72.5 percent of Asgardians voted for the Constitution. In Asgardia, we want everyone’s voice to be heard. Editor’s note: Grumblings within the Asgardia community first reported by Gizmodo reveal that the 72.5 percent of votes for the Asgardian Constitution may not match the people’s true opinions. A quick look at the website where Asgardians could vote on the Constitution shows that they could either accept the document as-is, or simply click away from the page to imply a “no” vote. There was no room for discussion and no space to raise specific concerns. F: How do you plan to resolve issues and disagreements within Asgardia? Do you have a plan in place for the future? IA: At the first parliamentary session on June 24 in Vienna, more than 100 Members of Parliament from about 40 countries, speaking 8 languages, attended. The debate lasted more than 11 hours instead of the 8 scheduled. Everyone, without exception, received an opportunity to speak. About 20 open polls were held. On all issues, decisions were made in strict accordance with the principles of democracy. Precisely to minimize disagreements, political parties are banned in Asgardia and there is no division of citizens on religious or country grounds. At the same time, complete unity of views is impossible in any human society. 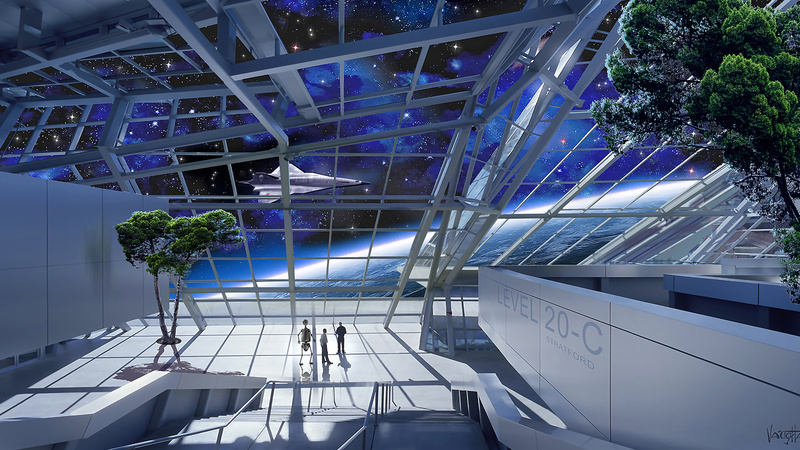 F: Asgardia’s ultimate goal, as I understand it, is to get people living in space. What do you think is the single greatest challenge humanity needs to solve before that can happen? Is it a matter of developing technology? IA: There is a dual challenge: we need to deal with the issues of cosmic radiation as well as the issue of little gravity. For permanent habitation, we will need to address both of these problems. We’re planning on building space arks equipped with artificial gravity and shields from cosmic radiation and other space threats. F: Other than cosmic radiation and zero gravity, what are some of the threats that Asgardians will face should they try to live in space? IA: Among all possible space threats, I distinguish seven main groups: sun storms and flares, known as coronal mass ejections; changes in Earth’s magnetosphere that destroy the effective protective layer of our planet; potentially dangerous asteroids and comets; man-made orbital debris; changes in the climate stemming from technogenic factors and sun radiation; cosmic radiation from nuclear reactions in novae, supernovae and pulsars; and the danger of Earth’s infection by microorganisms from meteors and other small celestial bodies. F: Is there anything that the media has gotten wrong about your or about Asgardia? What do you really want to make sure people understand about this? I am not a billionaire. I’m a normal person. I earned the money I have starting from just $20 in 1988. I do not consider Asgardia a business project. We are building a space nation. One of my hopes for Asgardia is to see the birth of the first person in space. I hope that Asgardia will allow the infinite continuation of humankind from Earth. F: What do you think space settlements will look like in the near and distant future? When do you think humanity will be able to live off-world? IA: Hopefully, future space settlements will be the same as our homes here on Earth. I firmly believe that it will be within the next 25 years that humans will be able to begin to live off planet. F: In what way will space settlements, whether on the moon or orbital arks, be the same as those on Earth? IA: This implies replicating similar conditions for a human presence in space as is found on Earth. This is not available today at the International Space Station where a person is still a space tourist with a limited stay capacity, after which time irreversible consequences occur even for the prepared human body. We want to make it possible that anyone could live in near space or on the Moon, without being a qualified astronaut. That means developing permanent habitations that are as similar in feel to the homes that we have here on Earth as can be achieved within 25 years. The ultimate goal of permanent habitation would be the ability to continue the human life cycle off planet, instead of simply bringing people from Earth into space. It is this next step that will truly test the permanence of our settlements in space and which will offer continued development of humankind into the Universe. F: Can you give me a sense of the timeline for when those space arks might be built and what has to happen for them to be created and deployed? 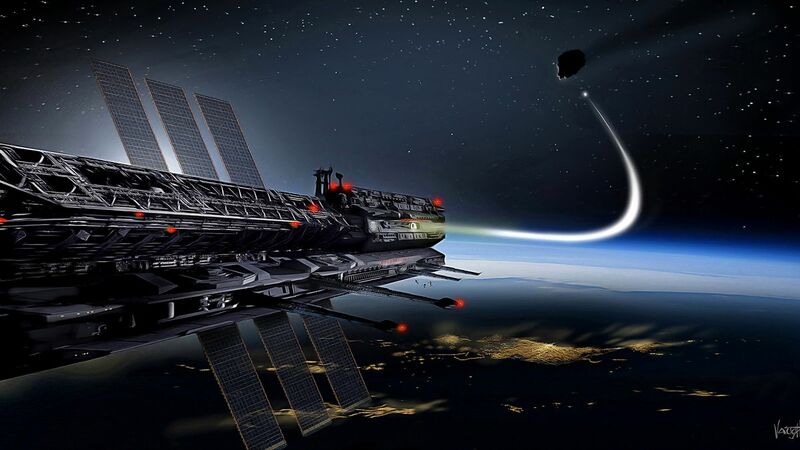 IA: Asgardia intends to have satellites providing access to Spacebook — the global Internet — in five to seven years, space arks in 15 years, and a permanent settlement on the Moon in 25 years. 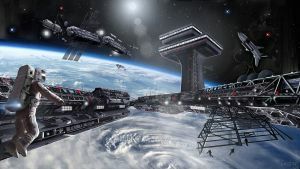 Editor’s Note: The spokesperson who facilitated our conversation with Ashurbeyli said that they could not share details on technical specifics for these future space settlements. F: What’s next for you? What do you think Asgardians should be focusing on for right now or down the road? IA: The task before us right now — mobilizing the first government administration, setting up our economy, beginning to make diplomatic relationships — is the work that we need to do to prepare for the future of Asgardia.